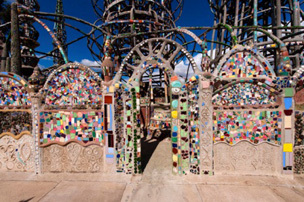 The California Department of Parks and Recreation has requested the National Park Service’s Office of International Affairs to consider the Watts Towers, a National Historic Landmark and a State Historic Park, for inclusion on the United States Tentative List as the first step in the process of formally asking the United Nations Educational, Scien­tific and Cultural Organization (UNESCO) World Heritage Com­mittee to recognize the Outstanding Universal Value of this potential World Heritage site. 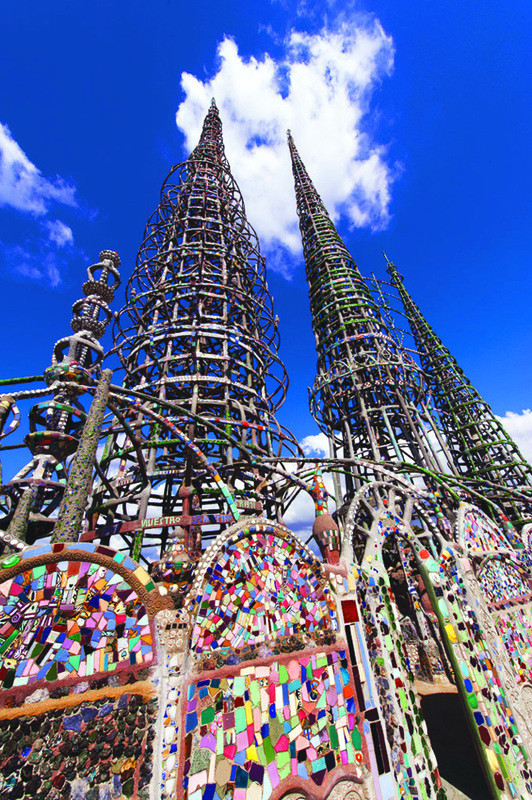 The Cultural Resources Division (CRD) of California State Parks submitted the Tentative List form for the Watts Towers to the National Park Service on April 29, 2016. In the letter, State Parks made the case that the property meets the requirements for authenticity, integrity, legal protection and management that the World Heritage Convention needs for consideration of potential properties. Those working closely with State Parks’ CRD Chief Leslie Hartzell to submit the request letter were Watts Towers UNESCO candidacy initiator and independent scholar Luisa Del Giudice, Ph.D.; Watts Towers Arts Center Campus Director Rosie Lee Hooks; Jo Farb Hernandez, Director of Saving and Preserving Arts and Cultural Environments (SPACES); Edward Landler, Towers documentary filmmaker and board member of the Watts Towers Community Action Council and Friends of Watts Towers Arts Center; and Danielle Brazell, General Manager of the Los Angeles Cultural Affairs Depart­ment, administrator for the site. To celebrate this great step toward universal recognition of Rodia’s Towers, the staff of the Watts Towers Arts Center Campus of the Los Angeles Department of Cultural Affairs invites one and all to join them this year for their annual presentation of its two great cultural heritage festivals: The 35th Annual Watts Towers Day of the Drum Festival on Saturday, September 24, and the 40th Annual Simon Rodia Watts Towers Jazz Festival on Sunday, September 25.